Looking classy, chic and elegantly designed this table offers vintage look. The black and light brown color of the wooden table complement each other in better way making this table look attractive. 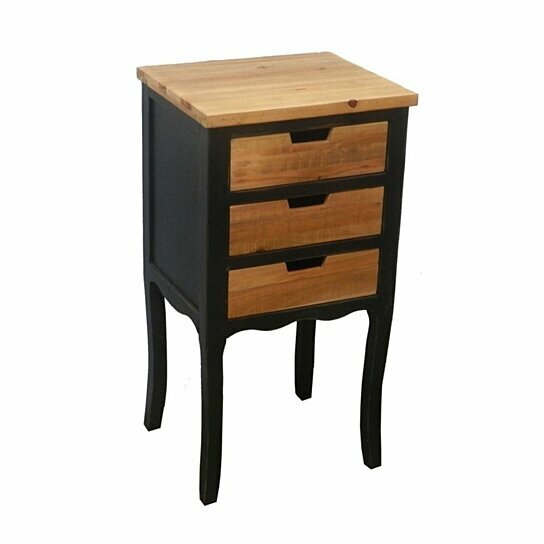 This one can be new end table, side table or corner table. Place a vase, telephone or books on this table. The three drawers allow you to keep things accordingly. Visitors and other close ones will go wow at the sight of this table and compliment you for the same.